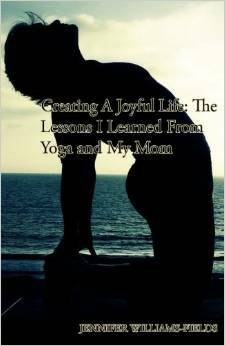 I’ve been practicing yoga for more than 5 years now and teaching for almost as long. I love my vinyasa practice and I enjoy a good Kundalini yoga class when I get the chance. I’d heard about Bikram yoga and figured I’d give it a try. Bikram yoga is done in a room heated to about 105 Fahrenheit with 60% humidity. The founder, Bikram Chouduroy, has been quoted as calling his classes “the torture chamber.” I know I have to try this. Bikram yoga claims to improve your cardiovascular system, help you lose weight and increase your willpower and determination. On the downside, the extreme heat can be difficult to deal with and there is a higher rate of injuries in hot yoga classes. And still, I want to give it a try. So on a hot summer Memphis day, when the outside temp is 99 and the heat index is 113, I walk into the local Bikram studio full of confidence and maybe a little cocky. I am a registered yoga teacher after all. The woman at the desk signs me in and reminds me class should be taken on an empty stomach. Oh, it’s been 3 hours since I’ve eaten lunch and I assure her I’ll be fine. I enter the room, and like most new students I head straight to the back and lay out my mat. The room is packed full of barely clothed silent people. I take a seat on my mat and scan the room. Yeah it’s hot but no worse than outside. The teacher soon walks in. She’s a tiny waif of a woman, full of tattoos and an almost shaved head. She doesn’t scare me. She asks who is new today, and when I raise my hand she again gives me directions to just do what I can. Seriously people, I’ll be fine. There is no actual physical warm up; we just begin with a series of standing poses. I know these poses, I’m doing ok and holding my own. But it is hot in here. Soon I am literally dripping sweat. I mean there is an actual puddle forming on my yoga mat. Oh, that is why everyone has a big towel over their mat. Ewww, was that just sweat from the mostly naked hairy guy next to me? Fifty-five minutes in to class and we finish the standing series. Oh this isn’t so bad, yeah I’m dehydrated and my heart rate is racing, but I’ve got this. And then, I feel it. A not-so-good feeling in my stomach. Worse, I taste it. That tuna fish sandwich from four hours ago is making an appearance. I am stronger, I will keep it down, and I will finish this class. We move to the floor series, which seems to be moving faster than the standing part. Oh please don’t tell me pull my knees tighter to my chest. I had tuna for lunch! The almost bald tattooed woman is now yelling at people to bend deeper and to make it hurt. She’s starting to scare me now. I notice quite a few people are just lying on their mats. I wonder if they have heat stroke. Or maybe they are just playing dead so the screaming lady will leave them alone. At this point I’m not only questioning my lunch choice but I’m questioning the physical logistics of all this. How am I supposed to wrap my elbows around my knees, pull them over my ears, when I’m so sweaty my hands are slipping any my eyes hurt from all the salty sweat dripping into them? But I will finish this class! Finally scary lady says it’s time for savassana, which in the yoga classes I’m used to means lay quietly and peacefully, and turn off your brain. In this Bikram class however, it means you are finally allowed to drink some water. Oh, so the 33 ounces I’ve been chugging for the past 90 minutes was against the rules? My bad. She ends with a few announcements, which I can’t hear because my ears are too clogged with sweat and everyone quietly gets up and rolls up their literally soaking wet mat and towel. I make my way out of the room and pick up a copy of the class schedule. After all, I paid the new student intro rate so I will get my money’s worth. I just won't eat tuna before the next class. As I walk to my car I realize the outside temp has dropped to 97! Oh it feels wonderful out here! Very funny! You're a natural blogger.